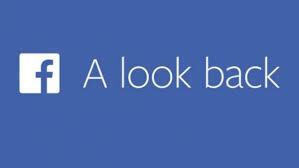 Facebook launched “A Look Back,” a feature which allows users to see a Facebook generated one minute video of their biggest Facebook moments, in honor of the sites tenth birthday last week. Site members can edit and share these movies with their friend via their Facebook wall. In its first week, over 200 million people chose to view their video and half of these chose to share it with their friends. The videos show most-liked posts and some of the shared photos and statuses from each person’s Facebook page, set to instrumental music. Since Facebook launched the feature last week, there have been an increasing number of parodies. These have included Facebook ‘Look Back’ videos for TV and movie characters, such as Optimus Prime from the Transformers series and Walter White from the hit TV series, Breaking Bad, which ended last year. Many people have shared these videos in addition to their own. For some people, receiving a Facebook ‘Look Back’ has been a sentimental experience. For one father, the new Facebook feature allowed for celebration of his son’s short life. He released a video on YouTube asking CEO Mark Zuckerberg and the Facebook Team to make a video for his son’s page. Facebook responded by granting his request and promising to try to look into doing more for grieving families in the future. Facebook created their “A Look Back” feature as a gift to their users. However, not everyone is happy about these videos. There has been a lot of backlash across social media, with people claiming that the videos are annoying. Some individuals were unhappy about their own videos, claiming that they were an invasion of privacy. The edit feature was added in part to remedy these claims. The videos will remain available for viewing until the end of the month, at which point they will disappear if they haven’t been posted to your wall. 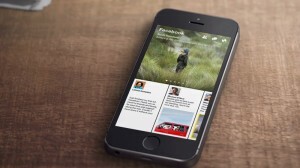 Facebook’s most recent endeavor was launched for iOS on Monday; it’s a news reader application called Paper and it’s the first release from Facebook Creative Labs, a section of the company that is dedicated specifically to launching mobile apps that integrate Facebook in new and interesting ways. Thus far, the application is receiving positive reviews, integrating functions from Facebook and similar news reader apps like Flipboard and Feedly, while being packaged with an attractive and functional design. One thing that’s particularly interesting about Paper’s design is that it lacks buttons. Instead, the app relies on swiping motions and phone tilts. The news reader will integrate both the News Feed of a user’s Facebook page as well as a variety of content sources such as popular blogs and news websites, which will allow Paper users to easily read or view all of the content and news that they are interested in. Early reviews of Paper have been overwhelmingly positive, with some news sources even claiming that Paper could become a replacement for Facebook itself, due to the sleek way it integrates the News Feed and other useful information into one high quality application. Though Paper lacks some of the full features of Facebook, such as Events, it still includes most of the things that Facebook can do. Not everyone is excited about Paper, however. In particular, a startup known as FiftyThree is upset about the name. Their own drawing application is also called Paper. However, their only trademark is for ‘Paper By FiftyThree’ rather than ‘Paper’ itself and it appears that the two companies are in a bit of a spat over the name. FiftyThree has attempted to trademark the name ‘Paper’ but this may be a legal loophole that allows Facebook to stick with the name.